ISN Technologies is a systems integration company specializing in turn key delivery of complex automated systems, power management systems, and software solutions. Headquartered in Kitchener, Ontario, we service customers across North America. Our turn key approach to project delivery includes all of the typical services you would expect, including: consulting services, electrical design, software development, and controls automation. Tasks such as specification development, simulation modeling, electrical panel design and procurement, PLC program development, software development, HMI/SCADA development, In-House Emulation and system testing, Electrical and Software commissioning and deployment, operational support, and remote monitoring of operational systems are all part of what we do. Nathan Haddock is the President of ISN Technologies, since it's incorporation in 2012. Nathan has 15 years of industrial engineering and software development experience, and has consulted and worked with partners and clients across various industry sectors. He has extensive experience working with aviation and airline companies to delivery complex automation and data analytics solutions for focusing on baggage and customer processing solutions. Nathan continues to lead ISN Technologies as it has grown to offer software and engineering professional services in addition to turn-key automation solutions. Nathan holds a Bachelor of Science degree from the University of Waterloo. Rob Wiecha is the Vice President of ISN Technologies, first joining the team as a Lead Software Engineer in 2014. Rob has 14 years of software development experience, with the past decade serving in senior and technical leadership roles. Rob started out working in industrial IT developing and deploying Manufacturing Execution Systems (MES), before moving over to the enterprise application development and professional services world. Rob has overseen the development of the ISN Technologies' Now Management Studio suite of products, which has been successfully deployed across various industry sectors. Rob is an Ontario licensed Professional Engineer and holds a Bachelor of Engineering degree from the McMaster University. 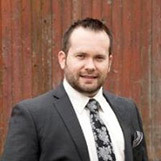 Ryan McMillan is the ISN Technologies Director of Engineering. Ryan has spent the last 15 years working in various capacities with the automation world. Ryan has completed projects as an electrical designer, PLC programmer, HMI developer, systems engineer, field commissioning engineer and most recently as a Director of Engineering for a Controls Automation firm. Ryan started out working in a variety of different industries, completing large scale projects for the mining, food and beverage, steel, and automotive industries. Throughout the different industries, Ryan worked to produce panel designs, PLC programming, commissioning, MES Implementations, ERP Integrations, and HMI/SCADA development. Most recently, Ryan has been involved as Engineering Manager and Director of Engineering responsible for multi-disciplined engineering teams executing both in house design and development projects as well as delivering solutions which included electrical panel design and fabrication, mechanical engineering and fabrication of conveyor systems, hydraulic lifts, and other material handling components, as well as on site commissioning and support of automation equipment across Canada, the United States, and Mexico. Ryan is currently a licensed Professional Engineer in Ontario, Manitoba, and British Columbia and holds a bachelors of engineering science degree from the University of Western Ontario. Eric has been an executive in the technology, security and networking field since 2002. He has been involved in the design, installation and programming of all levels of Security and Complete Network Solutions. Certified as a Signamax Installer, Eric has worked as a consultant at various levels of the government both in Canada and been involved in a few embassies. From 2007 until 2018, Eric has been heavily involved in the complete technology used in the hospitality and hotel industry. Having completed new builds as well as renovations for multiple hotels in the Hilton and Marriott chains, Eric has had the opportunity to work at all levels of technology. Eric has also completed high security design and install in maximum risk buildings including the Welland courthouse, The Kitchener/Waterloo courthouse, the Sault Ste Marie Remand Center and the European Union Ottawa Embassy. Eric joined ISN Technologies in Feb of 2019 as the Director of Sales bringing all his networking knowledge and design to the abilities of our company. Eric holds several certificates in the security field as well as a Signamax certification in Data and Networking and Graduated with a degree of economics and several diplomas in accounting and business management. Eric is also completely fluent in French and English both spoken and written.